Dr. Cook received his Bachelor of Science Degree from the University of Kansas and his Doctor of Dental Surgery from the University of Missouri-KC in 1988. 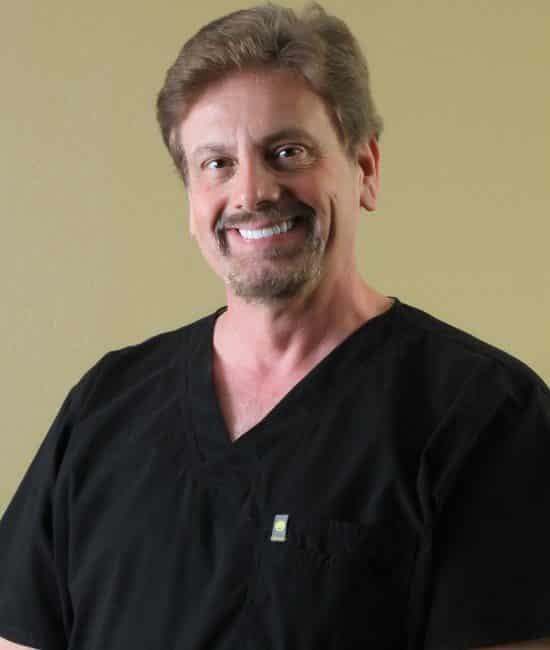 He has been in private practice in Leawood and Overland Park since then, dedicating his life to his practice, his wife, and his three wonderful children, Jamie, Jonathan, and Jacob. Dr. Cook and his family live in Stillwell and are active members of the community. Each year, Dr. Cook also devotes a significant portion of his time to advanced continuing education courses that have allowed him to maintain the high standard of excellence that has defined his practice and career. In addition to his bachelor’s and dental degrees, he is also specially trained and certified in esthetic smile improvement, implant dentistry, and Invisalign® orthodontics. His hobbies include antique cars, backpacking, karate, and playing Santa Claus every year. He also enjoys being a positive influence in the Boy Scouts of America and the Kansas Mission of Mercy. For Dr. Cook, dentistry isn’t just work. It’s a way for him to help give back to the community by giving families the joy of beautiful, healthy smiles for life. To schedule a consultation with Dr. Cook, call Family First Dental in Overland Park, KS, today at 913-381-2600.